Read Top Comic Titles on Windows Phone 7! 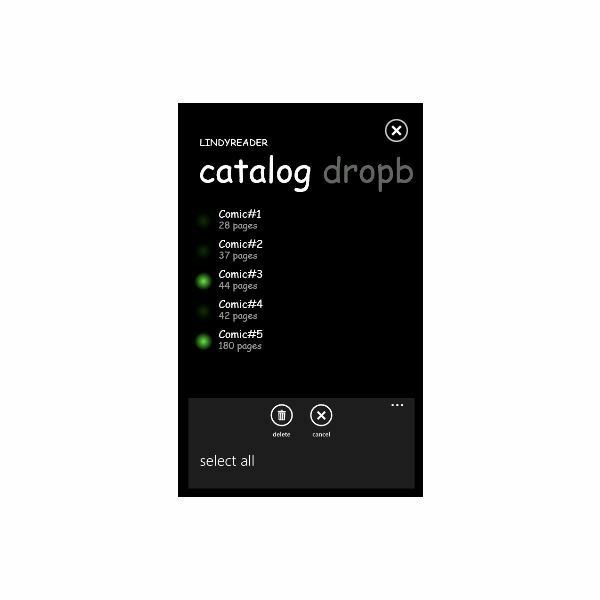 If you’re a fan of reading, you will be happy to know that there are various interesting book apps on Windows Phone 7, such as Kindle and Copia. However, there are also apps for reading comics and this list seems to be growing. This should come as no surprise – there are new comics released every day from various publishers, new and old, and with the explosion of digital forms for comics comes a new opportunity to read them. This collection of apps attempts to cover everything comic book related in the Zune Marketplace, from readers to encyclopaedias to any comics currently published in the Marketplace. Currently the top choice for any comic book fan on Windows Phone 7, Graphic.ly is a free app allowing access to a selection of free and paid for comic titles which can then be viewed on your mobile device. New releases are listed, while titles that you have purchased or downloaded free are saved on your phone ready for you to read whenever you’re ready! If you’re more interested in reading about comics than comics themselves, XZ Comics is a great free app for finding out about the history of comics. This app offers a search tool with which you can find out interesting facts and figures about classic and current titles. For instance, searching for “James Bond” reveals details about the 1981 Marvel Comics adaptation of the Roger Moore-starring For Your Eyes Only movie. Where the information is available, front covers of the comics are also provided, along with details of the author and artists responsible. If you already have a nice collection of digital comics purchased or downloaded by other means, you might prefer to take advantage of the LindyReader app. This comes in two flavours, a free version with ad-support or a £3.49 (UK price) version with no adverts. This might seem like an expensive option, especially when compared with some Xbox LIVE gaming titles! When used in conjunction with a Dropbox client such as LindyBox, you can copy CBZ or CBR format comic book files to your phone and enjoy them in LindyReader! 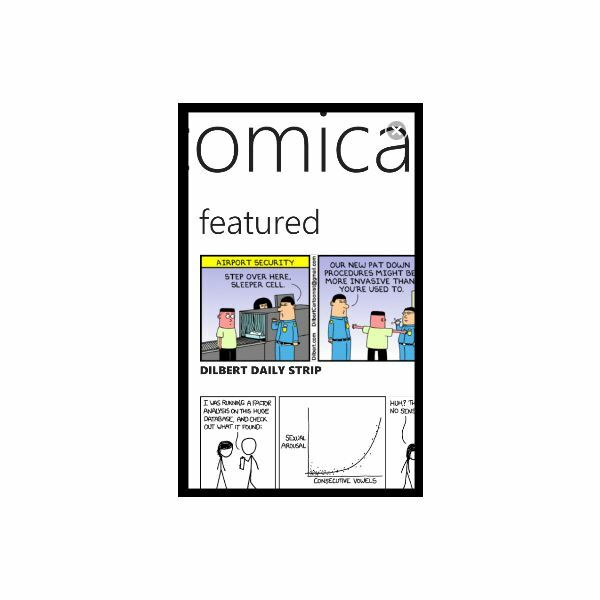 If you’re more interested in shorter strips such as XKCD, Garfield or Dilbert, Comica is a low-cost viewer (99p) with a free trial version that syndicates feeds from a wide selection of titles. These comics are great for a short laugh without all of the angst and agility of a super hero book, and Comica is designed to blend in seamlessly with the popular Windows Phone 7 Metro UI. Comedy Central, Wizard of Id, BC Comics and many others vie for space in Comica, so check it out! All screenshots and references from respective apps.